Here is a simple look that I put together. I love me some asos jeans. 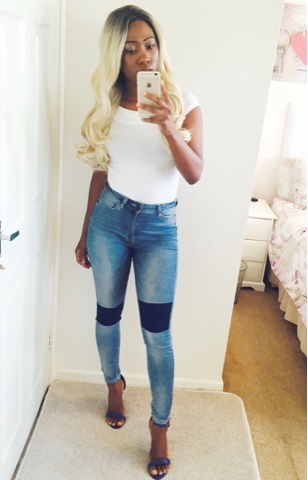 I paired the jeans with a simple white top from Primark and some blue open heels.